In San Diego, CRAFT by Brewery Igniter, H.G. Fenton Company’s one-of-a-kind craft beer destination combining three microbreweries in one location in the heart of North Park’s beer scene is now a reality. CRAFT by Brewery Igniter at 3052 El Cajon Blvd, is a turnkey real estate concept that helps startup brewers overcome the challenges of launching a brewery, providing greatly reduced upstart costs, lower investment risk and streamlined construction management. 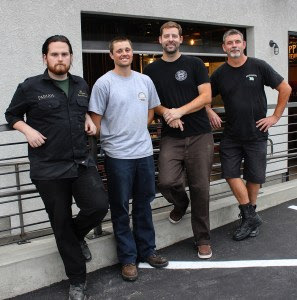 The three microbrewers at CRAFT opened their doors one-by-one, with J& L Eppig Brewing kicking things off November 19; San Diego Brewing Company in January 2017, and Pariah Brewing Company following closely behind. Capitalizing on the North Park neighborhood’s appeal as a craft beer destination, each suite at CRAFT comes with: Approximately 2,000 square feet of space 10-barrel brew house Tap room and Everything else needed to successfully launch a craft brewing business. J&L EPPIG BREWING.-- With 150 years of brewing history and heritage, Eppig Brewing, known for its German-style lagers and other specialty beers, is living up to its legacy by incorporating the historical family business with modern craft brewing techniques to produce beers that please and challenge the palate. J&L Eppig Tasting Room, one block east of 30th Street on El Cajon Blvd. in historic beer centric North Park. 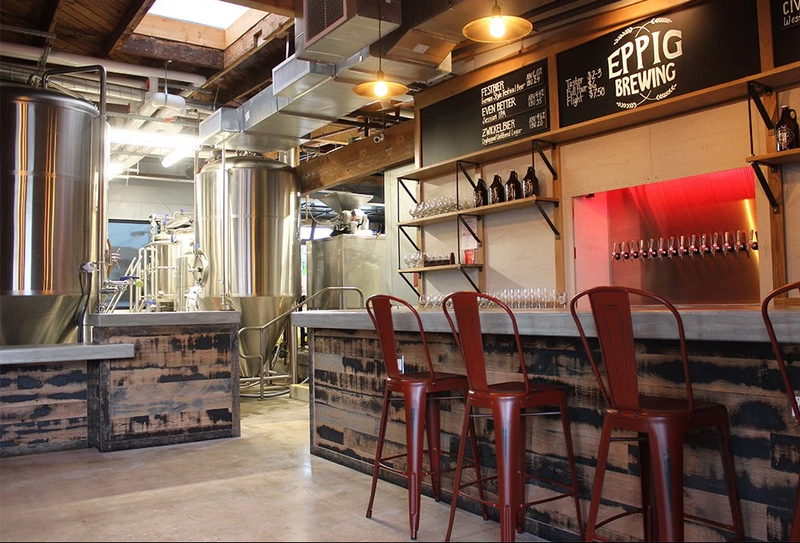 “Brewery Igniter allowed us to open our doors more quickly–150 years after the first Eppig family brewery–as well as secure a location in our neighborhood and burgeoning craft hub of North Park,” said Stephanie Eppig, director of marketing for Eppig Brewing. Born in Mission Valley in 1993, San Diego Brewing Company, one of San Diego’s original breweries, brings decades of experience to the table. The increased capacity at CRAFT will give SDBC the opportunity to brew a wide assortment of new craft recipes. SDBC brewers were the last to go into H.G. Fenton's three-suite brewery igniter campus and became the second tenant to open. SDBC's 2,500-square-foot tasting room is open seven days a week and accepting all comers. 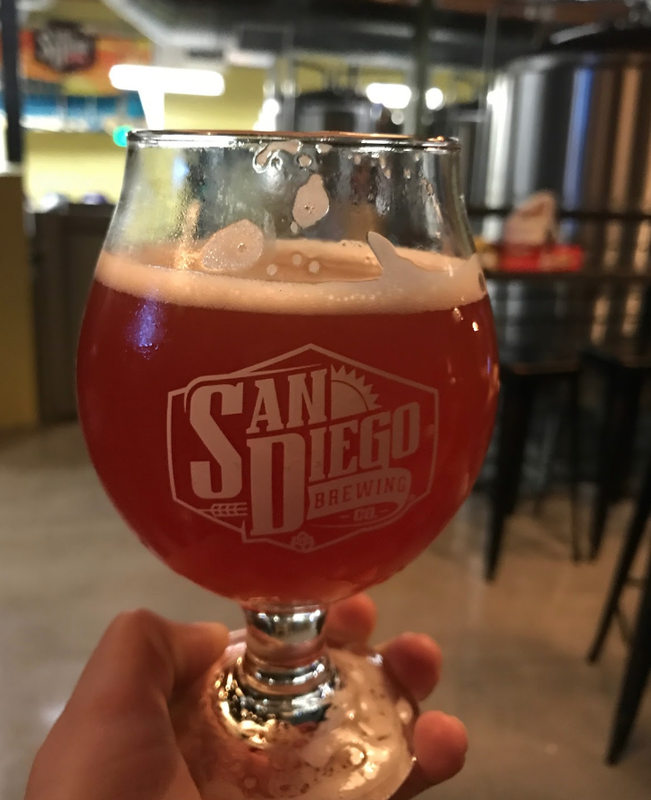 The beer flowing from its 15 taps is a mix of longtime staples such as Blueberry Wheat, Old Town Nut Brown and Google search darling San Diego IPA, as well as newer creations like Pale In Drop D session ale and Black Orchid imperial chocolate milk stout. Head brewer Jeff Drum opened with one entirely new beer on tap, a Scottish Ale called 80 Shilling (named for its alcohol-content per historic Scottish practices). He has another beer in development, which he plans on debuting soon, an IPA called Shadow Fall. In addition to all that ale, San Diego Brewing's satellite also serves house-made root beer and a pair of kombuchas, one of which is pumpkin pie-flavored and served on nitro. The North Park facility is equipped with a 10-barrel brewing system Drum uses to double-batch into 20-barrel fermentation and conditioning tanks. The tasting room is open to the public from 4 to 9 pm, Mon. thru Thurs., 3 to 10 pm on Fridays, noon to 10 pm on Sat. and Sun from noon to 9 pm. 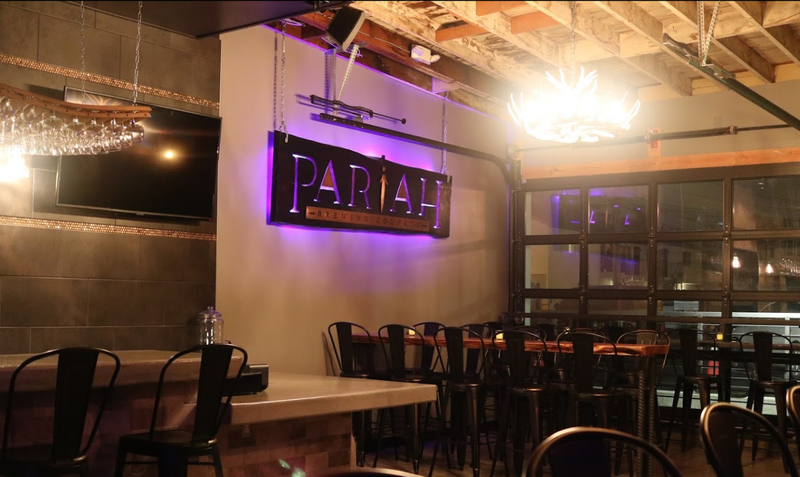 Pariah Brewing Company is in its final phases before opening to the public February 11, 2017. They, too, will be brewing beer within CRAFT’s expansive facilities, which include independent 10-barrel brewing systems and significant cellar capacity for each brewer. Both companies are slated for grand openings in the coming months. The facilities at CRAFT make it possible for Pariah and SDBC to focus on the craft of brewing and provides the opportunity to push boundaries. Pariah’s brewmaster, Brian Mitchell, is formerly of Stone Brewing and intends to break new ground by specializing in beers made with a variety of unique ingredients and techniques. Most recently, he created a batch using a yeast culture captured from a flowering tree in his own backyard. H.G. Fenton Company has proudly entered its second century of service providing quality places for people to live and work. The company is committed to responsible development and management practices, and meeting the needs of its commercial tenants and apartment residents over time. H.G. Fenton Company owns and manages over 4.5 million square feet of office and industrial space, 14 apartment communities totaling over 3,300 homes, and also manages a development pipeline of land and commercial projects. For more information, visit www.hgfenton.com. To learn more about CRAFT by Brewery Igniter and its tenants, visit www.BreweryIgniter.com.